TAIT - On Wednesday, Feb 16th, at Malvern, Scarboro, William Tait, in his 85th year. Funeral on Saturday, Feb 19th, at 1.30 p.m. to Melville Church Cemetery. Friends kindly accept this intimation. The sad news was received on Monday of the death of Robert Tate, who met with an accident on Monday afternoon, April 6th, 1925, and died a few hours later in a New York hospital. The remains were brought to Napanee Wednesday night, where a large number of neighbors and friends were awaiting the arrival of the body, and then taken to the home of his brother, Joseph Tate, Selby, Ont., where the funeral service was conducted by the Rev. T. H. P. Anderson, on Thursday, at 1 p.m., and interment made in Camden V. cemetery. The funeral was largely attended by a number of old acquaintances who met to pay their last respects. The deceased was born in Camden, 53 years ago, residing in Watertown for a number of years, thence going to New York, where he was manager of a large ice concern until the time of this death. Mr. Tate is survived by three sisters and one brother, Mrs. Martha Ansley, of Toronto; Mrs. H. F. Bell, Moscow; Mrs. J. S. Galbraith, Vernon, B. C., and Joseph Tate, Selby, Ont. Mrs. Ansley, of Toronto and her daughter, Mrs. Grant Heels, Barrie, Ont, and Miss Kathleen Galbraith of Guelph, attended the funeral. Funeral of Miss Edith Mae Taverner was held at the Tierney funeral home here on Monday afternoon at two o'clock, with Rev. C.D. McLellan, minister of Grace United Church, Napanee, officiating. Interment was at Riverside Cemetery here and pallbearers were Clarence Reid, Morley Homes, Clare Snook, Walter Rankin, Kenneth Murphy and Reginald Chapman. Born at Conway in South Fredericksburgh Township, 49 years ago, the late Miss Taverner attended Conway Public School and took a business course at Napanee High School, becoming a secretary at the Acme Farmers' Dairy Co. here, a position she held for 33 years until taking ill a little over a year ago. She died in her sleep early last Friday morning at the home of her sister, Mrs. W. H. Elliott, Thomasburgh. A resident of the Napanee area for 35 years, deceased lived with her parents, Mr. and Mrs. Fred L. Taverner, on the River Road. She was a member of Grace United church and active in the Sunday school, was a charter member of the Napanee Chapter of the Order of the Eastern Star and was its first worthy matron and was a former secretary of the Napanee Business and Professional Women's Club. Well-known through her many community endeavors and her part in business life, the popular Miss Taverner leaves her parents, Fred L. Taverner, and his wife, the former Margaret Birrell, as well as a sister, Mrs. W.H. Elliott (Winnie), Thomasburgh, and a cousin who lived with the family, Mrs. T. Akey, the former Mary Birrrell. On Tuesday, March 2nd, Mr. John Mark Taverner, one of the oldest residents of the Township of Adolphustown, died at the home of his niece, Mrs. George H. Switzer in Napanee. With his niece, Miss Elizabeth Robertson, Mr. Taverner had been spending the winter in Napanee, at the home of Mr. and Mrs. G.H. Switzer. He had been enjoying his usual health until a few weeks before his death. The late Mr. Taverner was born in Adolphustown, nearly 85 years ago. He was the son of the late Mr. and Mrs. W.E. Taverner who came from Devonshire, England, shortly before the subject of this account was born. He was one of a family of seven, five sisters and two brothers and was the last surviving member of the family. His sister, Mrs. M.A. Robertson, who died about two years ago and her two daughters had made their home with him for many years. His funeral was conducted at the Switzer home on Thursday afternoon by the Rev. Mr. Brazil, rector of St. Alban's Church of Adolphustown, which Mr. Taverner had attended for many years. Following the service interment was made at St. Alban's Cemetery. Wm. E. Taverner, Adolphustown, died Feb 5th, aged eighty-five years. Deceased was born at Mortonhampstead, Eng., and came to Canada in 1815. He leaves two sons Alfred and John, and two daughters, Miss Taverner and Mrs. R. Robertson. Deceased was a great reader and a man of more than ordinary intelligence. The remains were placed in the vault at Adolphustown on Wednesday. TAVERNER - At the residence of his son, John, South Fredericksburgh, on Monday, 5th Feb., William E. Taverner, aged 85 years and 1 month. TAYLOR - At Richmond, Friday July 10, 1936, Rupert D. Taylor in his 41st year. Mr. Rupert Taylor, a well-known young farmer of the Empey Hill district in Richmond Township, passed away at his home on Friday afternoon, after an illness extending over a period of several months. The late Mr. Taylor had been a resident of the Township all his life and was a successful farmer. He was born about 41 years ago and was the younger son of the late Mr. and Mrs. Isaac Taylor, who predeceased him some years ago. The late Mr. Taylor was a member of the United Church, which he attended at Empey Hill, He was also a member of Union Lodge No. 9, Napanee and Mount Sinai Chapter, Royal Arch Masons. He is survived by his widow, formerly Miss Watson of Newburgh and two young sons, and a brother, Mr. Clem Taylor. The funeral was held at his late home on Sunday afternoon and was conducted by Rev. 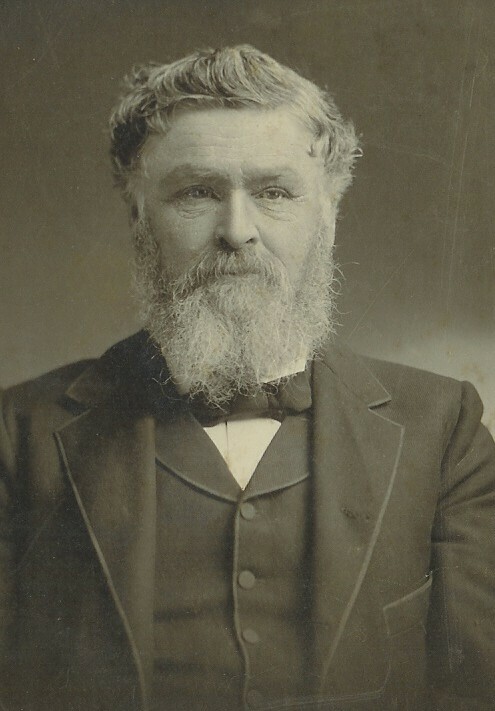 R.T. Richards of Grace Church Napanee in the absence of Dr. W.E.L. Smith, the deceased’s pastor. Interment followed at Riverview Cemetery, where the Masonic Order conducted their funeral service. Mrs. Sarah Taylor, an aged resident of Napanee, passed away at the home of her son-in-law, D.H. Stinson, on Sunday, in her 86th year. Mrs. Taylor, who had been practically blind and deaf for some time, had an unfortunate fall down stairs, a short while ago, and death came as a result of the shock. Mrs. Taylor, whose maiden name was Sarah Haight, was born in Adolphustown, where she lived until as a young woman she moved with her parents, to Newburgh. Many years ago she married the late Norton Percy Taylor and with him lived in Deseronto, until about fifteen years ago, when they went to Oshawa. Ten years ago, Mr. and Mrs. Taylor came to Napanee to live at the home of their daughter, Mrs. D. H. Stinson, where Mr. Taylor passed away, seven years ago. Mrs. Taylor is survived by her daughters, Mrs. Stinson, Napanee and Mrs. Fletcher Calder of St. Catharines. Another daughter, Mrs. William Parks, died at Oshawa, two years ago. The funeral was held on Tuesday morning at 10:30 at the home of D.H. Stinson, where Rev. R.T. Richards of Grace United Church conducted the service. Interment followed at Deseronto Cemetery. Henry Tee, a native of England (near Bristow) who was accidentally killed in Chambers Mill in the Township of Fredericksburgh on the 20th Feby 1838 was interred on the 22nd inst by me S. Givins. Philip Chambers & Wm. Anderson present. The remains of the late Mrs. Temple, daughter of Mr. and Mrs. Luther Sweet, Belleville Road, who met with such a tragic death near Windsor, the past week, were brought to Napanee and taken to the home of her parents. The funeral service was held in Windsor, and on Monday morning a short service was conducted by Rev. R. J. Dumbrille, Vicar of St. Mary Magdalene church, with interment at Riverview Cemetery. The casket was banked with many beautiful floral tributes, representative of relatives and friends, the Windsor Fire Department, Windsor School, Windsor courts, the Hydro-Electric Power Company and the Napanee Iron Works. Among those from out-of-town who were present for the funeral were: Mr. and Mrs. Golden and the Misses Golden, of Belleville; Mr. and Mrs. Will Connors and the former’s mother of Colborne; Mr. Percy Sweet, of Port Colborne; the Misses Lena and Tilda Dorey; Mr. and Mrs. James Soules, Mrs. Barnes, Mr. Simon Matthews, Mr. Francis Dorey and Mr. James Dorey, all of Gananoque. Mr. Temple, husband of the late Mrs. Temple, returned to Windsor last night and the inquest will be held in Windsor today. JANET TEMPLETON – Died, at Napanee, on Saturday morning, 11th February, Janet Templeton, relict of the late Wm. Templeton, age 72 years. The deceased lady was one of the oldest residents of the town, having lived here nearly half a century. She was born near Perth in the county of Lanark of an old Scotch family. Her father, James McIlquham, came from Scotland to Canada about 1816 and settled near Perth, then but a hamlet in the forest. Here he purchased land and made a home on the banks of the Mississippi, where the deceased was born and spent her early years. She was married to Wm. Templeton in 1844, and immediately removed to Napanee, where her husband had previously commenced business as a tanner. The town then consisted chiefly of what is now known as Clarksville, little besides the Cartwright Grist Mill being within the town as it now exists. Her husband died in 1852, leaving the young wife with three children surviving. She had many trials and struggles through the next few years, but never lost courage or patience. Early in life she became a member of the Presbyterian church to which all her family belong, and continued through her whole life an active worker in the cause of Christ,. Her life was indeed most pure and blameless and affords a bright example of Christian virtue. Always charitable, kind and considerate for others, her counsel was constantly sought in church matters, and her loss will be much felt by her former associates. Her illness dates [illegible line] her recovery until Wednesday of last week when she was taken suddenly worse, and quietly passed away on Saturday morning, respected by all who knew her, and beloved by all who enjoyed her friendship. Only two children survive her, W. Templeton, the respected publisher of our contemporary the “Beaver, and Mrs. D. H. Preston, another son, James, having predeceased her some twenty years. The funeral services were conducted by Rev. D. McEachren, pastor of the Presbyterian church and many of the large number present were moved to tears by his touching references to the many virtues of the deceased. The Ladies’ Aid of the Presbyterian Church purchased a very handsome wreath in Kingston as a floral tribute. Napanee Soldier Killed in Action – NAPANEE, Aug. 26 – (CP) - Mrs. Edith M. Templeton of Napanee last night received word that her second son had been killed overseas. He was Lieut. Robert Keith Templeton, 25, killed in action in France Aug. 14. A month previously his only brother, Gnr. William Templeton, also in France, died of wounds. Lieut. Templeton, who had been overseas four years with the Toronto Scottish, was a University of Toronto student at the outbreak of war. Lieut. Templeton Killed in Action – Lieut. Robert Keith Templeton, formerly of Napanee, was killed in action in France three weeks after his elder brother, Gnr. William Templeton, died of wounds in Normandy July 21. Lieut. Templeton went to Toronto with his mother from Napanee in 1936, graduating in Arts from Trinity College in 1940. His brother William, when he enlisted in 1942, was manager of The Napanee Beaver, a position which he had held since the death of his father, William Templeton, in 1932. His grandfather established the paper over 70 years ago. GNR. TEMPLETON IS WOUNDED – NAPANEE, July 20 – Mrs. William Templeton received official notice on Tuesday that her husband, Gnr. William Templeton, had been wounded in action in France, on July 14. His wounds were described as first and second degree burns to the head, chest and arms. Gnr. Templeton, previous to enlistment two years ago, was manager of the Beaver Office. He went overseas in December, 1942, and had been in France only a few days when he was wounded. His wife and young son, also his grandmother, Mrs. S. A. Templeton, reside in Napanee. His mother, Mrs. W. A. Templeton, lives in Toronto. His only brother, Capt. Robert Templeton, is overseas with the Toronto Scottish Regiment. GNR. TEMPLETON SUFFERS BURNS – NAPANEE – July 24 – (Special) – Mrs. William Templeton has received further official information concerning the condition of her husband, Gnr. William Templeton, who was wounded in action in France, on July 14. Gnr. Templeton is reported as “dangerously ill” and his wounds are first and second degree burns to the head, chest and arms. GUNNER WM. TEMPLETON DIED OF INJURIES [July 26] – Word was received today, just before going to press that Gunner William Templeton had died as a result of wounds sustained in action in France, on Friday July 14th. The telegram announcing his death followed word from Ottawa on Tuesday, that he had been removed from the dangerously ill list to the seriously ill list, which had led his family to hope that he was on the way to recovery. W. TEMPLETON WELL KNOWN IN NAPANEE – YOUNG MAN’S DEATH SOURCE OF REGRET IN COMMUNITY - Napanee July 27 – Gnr. William (Bill) Templeton, RCA, who on July 21, succumbed to burns which he received in action on July 14, was born at Kingston on Aug 12, 1912. He had always resided in Napanee with the exception of the time spent at college. He was educated in the Napanee Public School (West Ward) and the Napanee Collegiate Institute, after which he attended Pickering College, Newmarket. On his return to Napanee in 1931, he entered the Beaver Printing Office and became manager after the death of his father the late W. A. Templeton, in 1932, in which capacity he continued until his enlistment. He enlisted in the RCA at Kingston in August of 1942 and was posted with a field regiment in England and went into action in the invasion of France and had only been there a few days when he received burns to the head, chest and arms, which later resulted in his untimely death. Surviving him are his wife, the former Georgie Scott of Napanee, one son, William Allan Templeton; his mother, Mrs. W. A. Templeton, of Toronto; one brother, Lieut Robert K. Templeton, now serving in France and his grandmother, Mrs. William Templeton, Napanee. Deceased was a prominent and popular young business man and his many friends in Napanee and district learned with sincere regret of his sad death. It is with feelings of regret and a deep sense of loss that we are called upon to chronicle the death of Mr. Wm. Templeton, late editor and proprietor of this paper, which occurred on Tuesday morning, 3d March, after a brief illness. Three weeks ago today deceased, who was not feeling as well as usual, left the office and went home. The first week of his illness he seemed to improve at times and no alarming symptoms developed until the following week, when he sank rapidly and passed peacefully away to his reward, after having spent a very successful and useful life. The best of medical skill was obtained, doctors from Montreal and Kingston being in attendance with the local profession, and all that loving hands and hearts could do was of no avail Mr. Templeton was born in Napanee on the 27th November, 1848, and with the exception of a few years, has spent his whole life in our midst. When about seventeen years of age he became an apprentice to the printing art, shortly after entering The Napanee Express as journeyman. Afterwards he spent a term in offices in Montreal, Toronto and New York, where he completed his course at the business and was satisfied to return to his boyhood home. In partnership with Rm. Edw. Stevenson, he purchased The Beaver. At a later date Mr. Geo. M. Beeman and Mr. W.C. Scott were associated with him in the office. In 1892, Mr. Templeton purchased the plant and has conducted it ever since. So successful has his business career been that The Beaver is a welcome weekly visitor into almost every home in the town and county, and is recognized as one of the foremost journals of its class, all due to his progressive spirit and business ability. Deceased was closely identified with the general social interests of the community. He was a member of the Royal Arch Masons, A.O.U.W., I.O.O.F., about twenty years has been United States Consul at Napanee. For a number of years he was also a valued member of the Board of Education. His death spells a distinct loss for the whole community, especially for the Presbyterian church, of which he had long been a devoted member. He was an Elder of the church, and Clerk of the Session. Twenty-nine years ago he was united in marriage to Miss Addie Perry, who, together with five children are left to mourn the loss of a kind and loving husband and father. The children are: Wm. A. and Janet, at home; Mrs. J. G. VanEvery, Owen Sound; Dr. Chas P. Templeton and Mrs. J. M. McIntosh, Brandon, Man., who were all with him at the last. Mrs. D. H. Preston, a sister, also survives him. A shadow of gloom was cast over the whole town. His brother curlers closed the rink all week, and on Thursday afternoon the schools were all closed. Floral wreaths, bouquets and flowers in profusion covered the casket and room. The funeral at the home on Thursday afternoon was attended by a large concourse of friends and acquaintances from near and far, showing the respect and esteem in which he was held by all. The service was conducted by his pastor, Rev. J. R. Conn, assisted by Rev. W. H. Emsley, after which the beautiful burial service of the masons, who had charge of the funeral, was read at the vault. His smiling greeting will be greatly missed, not only in the home, but at the office and on the street. His friends were legion, ad expressions of sorrow an regret are heard on every hand. The bearers were Messrs. J. L. Boyes, W. H. Boyle, J. W. Robinson, J. J. Flach, F. F. Miller, and W. T. Gibbard. THIBAULT – In Picton, Sunday, Sept 22 1918, Angus Thibault, aged 40 years. ANGUS THIBAULT – The news of the death of Angus Thibault came as a great shock to his many friends in Picton when they learned of his demise early on Sunday morning last. Very few knew of his illness, which was only of some three days duration. He was in attendance at the county fair, Tuesday, Wednesday and Thursday with his exhibit of Maxwell and Studebaker cars. On Thursday afternoon he left the fair grounds complaining of feeling ill but his sickness was not considered serious until shortly before his death. During Saturday night he rapidly grew worse and expired about seven o’clock Sunday morning, aged 40 years. Angus Thibault will be greatly missed. For some years past he has conducted the business of auctioneer and in this way has become widely known all over the county of Prince Edward. He has also conducted many sales in Adolphustown and vicinity. As an auctioneer he was not only popular, but he also had the respect and confidence of the public generally. He had a well deserved reputation for fair dealing and his genial friendly manner made him friends everywhere. For the last two or three years he had added the agency of the Maxwell motor cars to his business and only recently had also taken the local Studebaker agency. At the time of his death Mr. Thibault was Deputy Reeve of the Town of Picton. This was his second term in this position. He had previously held the position of councillor in the town and was also some years ago a member of the Municipal Council of the township of Hallowell. The deceased was an only son of Mr. Ed. Thibault of Picton, and a nephew of Messrs. William Thibault of Picton and George of Athol. His wife who survives him was a Miss Head. The funeral service was held at his late residence, Agnes St., Tuesday afternoon, when many of his friends and acquaintances assembled to do honor to his memory. The Maxwell motor Co. of Windsor, Ont. Was represented at the funeral by Mr. F. T. Hodgins, of Toronto. The beautiful floral design Gates Afar, was sent by the Maxwell Co. The many other floral offerings gave eloquent testimony to the high regard in which he was held and the sympathy felt toward his surviving relatives. Rev. Alfred Brown conducted the service. The pall bearers were Warden Mallory, Mayor Colliver, councillors R.H. Calnan, Albert Powers, M.R. Allison and D.R. Ellsworth. Interment took place at Cherry Valley Cemetery under the auspices of the I.O.O.F. of which deceased was a member. In Memoriam - The Late Stephen Thistlewaite. On Sunday, April 28th, a good man passed away in the person of Stephen Ghistlewaite, of Camden, at the age of 75 years. Deceased was born in Westmoreland, Eng., where he was married. He came with his wife and family to Canada, forty-five years ago, and first settled in Ernesttown. From there he moved to Fredericksburgh, from thence to Richmond, and finally about eleven years ago took up his residence in Camden, north of Centreville. He reared a family of seven daughters and three sons, all of whom survive him, and they still reside in Lennox county with the exception of one son, who is in British Columbia. As a strange coincidence, husband and wife were both born on the same day. The latter died about two years ago. Deceased was a member of the Church of England, and was known and esteemed for his strict integrity and uprightness of character. in politics he was always a staunch conservative. His last illness, which was of erysipelas, was only of about three weeks duration. Following an illness of five years, Ida Loyst, beloved wife of Arthur B. Thompson, of Sillsville, passed away on Monday, October 9, 1950, in her 79th year. The late Mrs. Thompson was a daughter of the late Susan and Henry M. Loyst, and was born at Sillsville, where she had lived all her life. She was a member of the United Church. Surviving are her husband and three daughters, Mrs. Ross Hennesey (Hazel) of Frankford, Ont., Mrs. Clarence Gibson (Leone) of Belleville, Ont., and Mrs. Orville Drummond (Bernice) of Kingston, Ont. Four grandchildren and one great-grandchild also survive. The funeral was held from her late residence on Thursday, October 12th, at 2:00 p.mm and was conducted by Gordon Steward. Pall-bearers were Messrs. Roy Loyst, Henry Loyst, Herbert Loyst, Rilance Loyst, Arthur Loyst and Stewart Loyst. Interment took place at Riverview Cemetery, Napanee. Thomas Thompson, aged eighty-four years, one of the oldest residents of South Fredericksburgh, passed away on Saturday last, and was buried on Monday. Deceased was stricken with paralysis a week ago, and never rallied. Died - At Fredericksburgh, on Wednesday the 2d instant, after a very severe illness of nearly 14 days, Timothy Thompson, Esquire, Colonel of the Lenox Militia, aged 9 years, 8 months and 5 days.- He was one of the oldest settlers of this country, having come to Kingston in 1783 and settled in Fredericksburgh in 1784. The following particulars relative to a late transaction have been related to us on such authority that we do not hesitate in making them public; at the same time we express our astonishment that such a transaction should have been kept so long in the dark. Shortly before the April Sessions, the body of a child was found in the Napanee River near its mouth. An inquest was held, and after the examination of Dr. Allen of Napanee, and other witnesses, the Jury returned a verdict of “wilful murder against some person or persons unknown.” The same afternoon after interring the corpse, the Coroner and part of the Jury returned to the village of Napanee, and some whispers being current, that a shoemaker’s wife of the name of Thomson had been unknown to her husband (to whom she had been married but three weeks,) delivered of an infant, which infant was spirited away, some enquiries were made which led to the examination of a Dr. Wallen (not Dr. Allen) before the Coroner and another magistrate, and it came out, the Dr. Wallen had attended the woman in question, and had delivered her of a dead child, which he had put under the ice in the river. Some other witnesses were examined, but no farther proceedings taken. The singularity attending this affair is, that the woman should have been delivered of a child unknown to her husband, and that the medical attendant should have taken upon himself the task of grave-digger. THOMSON, Mrs. Mary was born in New York state May 20 1782, married Joseph Thomson Mar 27 1800 and died at the residence of her son-in-law William Diamond, Fredericksburgh, May 17 1860, predeceased by her husband several years ago. Thomas Thompson, formerly of Adolphustown, staying with William Clark, Parma, died on Saturday, March 21st, aged eighty-four years. Died - At Fredericksburgh, on the 3d inst. Mr. Henry Thorp. In Loving Memory of Charles William Tibbutt, husband of Ruby Pearl Ruttan, who passed away at L & A County General Hospital on Friday May 26th, 1972 in his 85th year. Mr. Tibbutt is resting at the Tierney Funeral Home for funeral service on Monday, May 29th, 1972 at 2:00 p.m. Mr. Clive Wilson officiating. Interment Glenhaven Memorial Gardens. * see McCormick, Edith T.
Jean Ann (Nan) Tibbutt (born Jane Ann Myles Murray) - Of Kingston, passed away peacefully at home on March 27, 1996. She was 92. She left Princess Docks, Glasgow, Scotland on the S. S. Tunisia on May 6, 1922 at the age of 18 years to come to Tarry Hall which was the home of the Neilson family at Conway Ontario. her aunt and uncle were already there. She lived there until January 1925, when she married George E. Tibbutt who operated a grist mill at Sandhurst, Ontario. They lived in the "house on the hill" in Sandhurst until the Depression forced them to move to Kingston. In 1952, they moved to Fort Henry Heights until 1956, when they moved to what was then called Reddendale North. Her main occupation was wife, mother and homemaker. Years ago, she attended the United Church at Conway where she was married and at one time, she attended Zion United Church and St. Luke's Church, but in recent years, she did not attend church. She loved to sew, crochet, read and garden, but had not been able to do any of these for a number of years. She was raised by her grandparents James and Jane Murray. She is survived by her son Edward and his wife Shirley, her son, Dalton, and her daughter Joyce; her cherished grandchildren Lorieann(Tony), Christopher (Patty), Ann (terry), all of Kingston and Brian (Karolee) of Calgary; her dear great-grandchildren Brian, Victoria, William, Lorieann, Christopher, Terriann all of Kingston and Amanda of Calgary; her brother George, her sisters Annie, Peggy and Jessie all of Dundee, Scotland, and many nieces and nephews in Scotland. She was predeceased by her beloved husband George on January 4, 1969 and her cherished daughter Ruth Mary on December 13, 1941. She was also predeceased by her grandparents, parents and a number of sisters and brothers in Scotland. Her life was celebrated on March 29, 1996 at the Chapel on the Corner at R. J. Reid's Funeral Home. The officiating clergy was Rev. George Ambury, a truly good friend of the family. Pallbearers were Bob Wilson, Tony Mereles, Terry Badour, Brian Tibbutt Sr., Briand Tibbutt Jr., and Christopher Tibbutt. Interment at Cataraqui Cemetery. Tibbutt, William E. - At Lennox and Addington County General Hospital on Friday, June 29, 1990, William E. Tibbutt, RR 2 Napanee; beloved husband of Evelyn Ballance, dear father of George, RR 2 Napanee; Betty Lou Dorrington, RR 7 Bright; lovingly remembered by three grandchildren, brother of Marion McMackin, Peterborough; Genevieve Baldwin, Kingston; Flossie Lowry, Westport. Resting at the Wannamaker-Tierney Funeral Home, Napanee for Service in the chapel on Monday, July 2 at 11 a.m. Interment Newburgh Cemetery. Friends will be received Saturday 7-9, Sunday 2-4 and 7-9. Donations to the Lennox and Addington Hospital Building Fund or the Lung Association would be appreciated by the family. We have learned the following further particulars of the death of John Tierney, referred to in our last issue. Deceased left home in Adolphustown on April 6th, 1899, in company with Mr. R.W. Geddes, of Deseronto, arriving at Prince Albert on 29th April. they continued their journey all summer and went into winter quarters on 12th October. They erected a shack about 100 yards from the mouth of a creek flowing into the Laird river, about 100 miles from Fort Simpson and 1200 miles from Edmonton. In January deceased took a heavy cold, which aided in bringing on a slight attack of scurvy. The sickness continued to develop until 4th April, when death from heart failure relieved him from his sufferings. Of course one can imagine that the diet off in that distant part of our land where facilities of communication are not very good, was none of the best and especially for an invalid. His comrades spent two days whip sawing lumber to make a coffin. He was buried on the banks of the Laird river, the service as written is the Church of England prayer book being read. A cross as erected to mark the spot, and the name cut upon it. We are indebted to Mr. Geddes for the foregoing information. Mrs. John Tierney, Adolphustown, died on Monday. She lived on the old Mackie farm, near Napanee. TIERNEY: MAURICE OGDEN - at Lenadco on Sunday, September 22, 1996, Maurice Ogden Tierney, beloved husband of the late Helen Barnhart. Dear father of Mrs. Lyle Hill (Sharon), R. R. # 1 Napanee; Thomas, Napanee. Loving grandfather of Mrs. Rick Asselstine (Angela), R. R. # 1 Selby; Darren, R. R. # 1, Napanee. Great grandfather of Nicole and Eric Asselstine. Resting at the Wannamaker-Tierney Funeral Home, Napanee, Funeral Service in the Church of St. Mary Magdalene, Napanee on Wednesday, September 25 at 1:00 p.m. Rev. Albert Hoppins officiating. Interment Riverside Cemetery. Friends will be received Tuesday from 2-4 and 7-8 p.m. Donation to the Arthritis Society of the Heart & Stroke Foundation would be appreciated by the family. Masonic Service in the Chapel on Tuesday at 7:00 p.m.
Maurice Ogden Tierney passed away at the Lenadco Home fot the Aged on Sept. 22, 1996. Mr. Tierney was born July 23, 1908 at Gosport, Ont. (north Adolphustown). He was the only son of the late Thomas Tierney and Achsah Louise Ogden. In March of 1917, the Tierney family moved from their farm on the Bay of Quinte to Bridge Street in Napanee. Mr. Tierney attended school in Napanee and he graduated from Ontario Business College in Belleville. From 1926 to 1938, he worked for Belleville Creamery, Francis Bakery, as manager of Eaton’s Hardware in Napanee, and assisted the firm of Masters & Tierney until 1938 when he joined the business, which at that time was located at the corner of Centre and Mill Streets. In 1940, the business moved to its present location at 123 Dundas St. W. Mr. Tierney retired in November 1978, but was still active with the firm of Wannamaker-Tierney until poor health forced his retirement four years ago. He was a member of St. Mary Magdalene Church in Napanee from 1917, until his death. He sang in the choir, was a Sunday School Teacher and rector’s warden for 10 years. Mr. Tierney was a member of the Masonic Lodge, 32nd degree Mason and past master of the Lodge. He was a member of the Scottish Rite in Kingston and became a member of the Shrine, Ramases Temple in Toronto. He also was a member of the Argyle Lodge, the Royal Canadian Legion and charter member of the Lions Club. He served in the Army from 1942 until the end of the Second World War, but due to the death of his father, was not engaged in active service overseas. Mr. Tierney was very active in the community and his primary concern was to help lessen the suffering of others in their time of need. He was a “people person” and enjoyed his contact with everyone. He was predeceased by his parents, his sisters, Mrs. Rose Mines, Mrs. Edith Wallace, Mrs. Ethel Hughes and Mrs. Kathleen Piper. He was also predeceased by his wife of 49 years, Helen Barnhart. He is survived by his son Thomas, his daughter Sharon and her husband Lyle Hill; his grandchildren Angela Asselstine and Darren Hill; his great-grandchildren Nicole and Eric Asselstine, brother and sister-in-law Harold and Arlene Barnhart; and his nieces Mrs. Dorothy Hart and Mrs. Roberta Berndt and their families. Funeral service for Mr. Tierney was held Sept. 25, 1996 at St. Mary Magdalene Church in Napanee. Rev. Albert Hoppins officiated with Msgr. J. J. O’Neill assisting. Pall bearers were Mac Storey, Clarence McNeil, Tony Markotich, Case Van Gent, Rick Asselstine and Darren Hill. Interment was at Riverside Cemetery. TIERNEY - In Adolphustown, on Monday, 31st Aug., Sarah, mother of Mr. John Tierney, aged 91 years. * see Herrington, Mrs. W.S. The subject of this short memoir was the second daughter of Benjamin and Mary Jane Tindall. She commenced her earthly pilgrimage in the township of Grey, county of Huron, Ontario, on the 6th day of January, 1866. Very early in life she entered the Sabbath school, and never left it until compelled to by sickness, which ended in death. To be found in the class gave her much pleasure. And as soon as it was thought prudent she was raised to the position of teacher - a position she filled with credit to herself, advantage to her class, and satisfaction to all concerned. The manner in which she attended to her work, the interest she displayed and her success gave me and others much pleasure. She was led to accept Christ as her Saviour when she was ten years of age; and when she gave her heart to God she gave herself to the Church. And from that day to the day that she joined the blood-washed company and her dear father before the throne, she was a consistent member of the Methodist Church. I never saw a thing heard a word, or knew an action not in harmony with Bible truth. She was a good, faithful, successful missionary collector. But her work is done (and well done) the journey of life is ended and she has entered into rest. CROSSED THE DARK RIVER - Picton Gazette – The death of Mr. Almon C. Tobey occurred at the family residence, west Main street, at an early hour on Monday morning, 10th June. The evening previous he was out walking about the house with his daughter, in his apparent usual health, when he was suddenly taken with a fainting spell, followed by convulsive vomiting, which ended his life about one o’clock. About two years ago he had a severe stroke from which he never recovered, gradually growing worse until death. He was a great sufferer, but bore it patiently to the end. The deceased came to Picton from Napanee about twenty odd years ago, engaging in the jewellery business, and was one of our most affable and successful business men. He was twice married – his first wife being Miss Minnie Haight, the second Miss Ola Hurlburt. Two children by his first wife – Raymond and Zeita – survive him to mourn the loss of a kind and loving father. Deceased was 51 years of age. The funeral took place on Tuesday afternoon at 4 o’clock. The I.O Foresters, of which deceased was a member, attended in a body. * see Smith, Amelia A.
Tompkins - Thomas Wesley at the Kingston General Hospital on Wednesday, Sept. 5, 1973, Thomas Wesley Tompkins, Newburgh, beloved husband of Florence Louise Allen in his 79th year. Dear father of Mrs. Alan McAdoo (Mae), Wolfe island, dear brother of Harry, Niagara Falls;, Mrs. Clem Hines (Mabel), Conway and Percy, Newburgh. Rested at the Wartman Funeral Home for funeral service in the Chapel on Friday, Sept. 7 at 1:30 p.m. Rev. Arthur Bacon officiated. Interment was at Moscow Cemetery. The mortal remains of this deeply respected lady, late wife of the Rev. Adam Townley, D.D., Canon of Huron Cathedral, and Incumbent of St. James Church in this town, who departed this life, on Monday evening, 3rd April, surrounded by her husband, her Son and his Wife and several other friends - were deposited (until the Church of England Cemetery is secured and prepared) close by the Chancel of St. James’ Church, on the Thursday following. The coffin, which was covered with purple velveteen, had a large floriated oak Cross fastened on the lid, and with its beautiful Cross and Wreath of flowers also, which were all put in the grave, spoke of those bright hopes which were more than comforting to the sorrows of the survivors. The bearers were Messrs. Geo. Stanton, J. A. Penton, Thos. Ryall, F. H. Haycock, Thos Clark and W. C. Jones. The mourners were - the whole Parish! - but especially her bereaved Husband, her Son, the Rev. C. E. Thomson, two of her Grandsons; her brother in law, Mr. A. B. Townley, and her nephew, Mr. H. C. Thomson; Dean Boomer, Archdeacon Marsh, Canon Nelles, Revds W. S. Darling, Rural Dean Holland, E. E. Newman and A. Anthony, besides which a long list of other friends, also attended. The body was carried by the bearers from the house to the Chancel of the Church, which with the Clergyman’s pew, &c., was deeply draped in black - and thence to the Grave close adjoining. The service was effectively read by the Revds Dean Boomer, H. Holland, and W. S. Darling - the last of whom also delivered a touching address, as being the oldest clerical friend of the deceased, who was present. The Choir also rendered their affectionate aid. It is needless to say that the Church was very full, alike from strong regard to Mrs. Townley and genuine sympathy with her sorrowing husband. Indeed we are pleased, though not surprised, to learn that sympathy, both at home, and by letter, has been overflowingly expressed with the lonely grief of our, no longer young, but highly respected Rector; very many old friends sending their deep expressions of regret at being unable to be present, from a mistake regarding the time and place of burial, or from previous engagements. Among them were the Bishops of Huron, N---- and Toronto, and a letter from Mr. -----, the Bishop of Algoma being ------. In our deceased friend we lose another of those ancient Canadian landmarks that link the present with the past. Mrs. Elizabeth Townley was the only daughter of the late Wm. Ruttan, Esq., of the Bay of Quinte, and officer in the British Army of the United States during the Revolutionary War, who, at its close, came with his young wife, his elder brother, Captain Ruttan, and other United Empire Loyalists to Canada, settling at once on the Bay of Quinte, where he and his wife died in ripe old age. Their daughter, our late deceased friend, was born October 27th, 1800. She was married at a very early age to Hugh C. Thomson, Esq., of Kingston, Member of the Provincial Parliament, for Frontenac, the father of her remaining son, the Rev. C. E. Thomson, M.A., Rector of Elora, diocese of Niagara, and Rural Dean. Mrs. Thomson was left a widow in the prime of life, and was married to her now sorrowing husband, the Rev. Dr. Townley, the 20th of April, 1837. “We ne’er shall look upon her like again.” And, notwithstanding that she was spared to so ripe and age (upwards of 75 years) and departed so calmly and with such bright prospects beyond, yet we cannot withhold our sincere sympathies from her bereaved Husband and Son, and other deeply attached friends, in this their irreparable loss. The Late Mrs. Townley - We perceive by the Paris Star that the remains of the late Mrs. Townley, who died April 3rd, wife of the late Rev. Adam Townley, D.D., Canon of Huron Cathedral, were buried on Thursday. Mrs. Elizabeth Townley was the only daughter of the late Wm. Ruttan, Esq., of the Bay of Quinte, an officer in the British Army of the United States during the Revolutionary War, who, at its close, came with his young wife, his older brother, Captain Ruttan, and other United Empire Loyalists, to Canada, settling at once on the Bay of Quinte, where he and wife died in ripe old age. Their daughter, our late deceased friend, was born October 27th, 1800. She was married at a very early age to Hugh C. Thomson, Esq., of Kingston, Member of the Provincial Parliament for Frontenac, the father of her remaining son, the Rev. C.E. Thomson, M.A., Rector of Elora, diocese of Niagara, and Rural Dean. Mrs. Thomson was left a widow in the prime of life, and was married to her now sorrowing husband, the Rev. Dr. Townley, the 20th of April, 1837. In the Township of Sidney, of a short illness on Friday the 5th September, Mrs. Elizabeth Traver, wife of Mr.; Peter Traver, Senr. aged 58 years. The Late Miss E. A. Trenouth - The unexpected death of Miss Elizabeth A. Trenouth, sister of Mr. W. J. Trenouth, Napanee, occurred at Kingston General Hospital on Friday November 16th. On Monday of last week, Miss Trenouth fell at the home of her brother, where she had been residing for the past five years, and x-ray examinations disclosed she had suffered a broken hip. On Wednesday she was taken by ambulance to Kingston General Hospital where it was intended to set the break in her hip, but on Friday she passed away in her sleep. Miss Trenouth was born in England but came to Canada when a small child with her parents, Richard and Elizabeth Trenouth, who settled at Bowmanville and made their home for the rest of their life. Miss Trenouth was one of the first telephone exchange operators in the town of Bowmanville, a position which she held for many years until she retired to look after her aged parents. For the past five years she had spent most of her time in Napanee with occasional visits in Toronto with her brother, Edward M. Trenouth and in Sault Ste. Marie with her niece, Miss Rhea Sheridan. She was a life-long member of the former Methodist and the present United Churches. She is survived by two brothers, W. J. Trenouth of Napanee, and E. M. Trenouth, Toronto. Her funeral was conducted at 9:30 a.m. Monday November 19 at the Wartman Funeral Home, by Rev. Noble Hatton, minister of Trinity United Church and later her body was taken to Bowmanville, for burial. The pall-bearers at Napanee were Messrs. David Brown, John Topping, A. V. Roy, H. L VanLuven, Geo. H. Switzer and R. H. Paul. Byron Coates Triller, 75, formerly of Toronto and Cloyne, died recently in Belleville General Hospital. He leaves his wife, the former Lillian E. Tout, and two sons, Mark Triller, of Port Credit, and A. Pierre Triller, of Cloyne, and two daughters, Mrs. G. G. D’Alvise (Paddy) of Montreal, and Mrs. E. A. McGregor (Lenore), of Holland Landing. The funeral was held at the Tierney Funeral Home September 30, with Rev. W. B. Thorneloe officiating. Interment was at Riverview Cemetery here. Trull - Otto LeRoy. In Bowmanville, January 9, 1939, beloved husband of Helen Bernice Tate, in his 54th year. Funeral was held from the “Grange” Lot 25, B.F., Darlington, Wednesday, January 11, at 2.30 p.m. Burial in Bowmanville. It was with great sorrow all learned of the passing away at Bowmanville Hospital, on Monday, January 9th, 1939, of Otto LeRoy Trull, beloved husband of Helen Bernice Tate of Napanee, in his 54th year. He had been seriously ill for the past few months. Mr. Trull, a well known and highly respected citizen, was born in Darlington and lived in this community practically all his life. He was a son of the late Mr. and Mrs. Casey Trull and descendent of one of the oldest families and real pioneers of this district. He leaves to mourn his loss his wife and two daughters and one son, Grace, Hazel and Gordon. The funeral, held January 11, at the Grange, the family homestead, and conducted by his pastor, the Rev. W. C. Smith of Ebenezer United Church, was largely attended by friends and relatives. Interment took place in Bowmanville Cemetery. The pall bearers were Lorenzo Trull, Ross McConnell, Ralph Langdon, Lloyd Crago, Bruce Metcalfe and Blake Short. Those from a distance were: Mr. and Mrs. Jos. Tate and Mr. and Mrs. Arthur McKnight of Selby; Mr. and Mrs. Ross McConnell, Sharps corners; Mr. Fred Bell, Newburgh; Mr. and Mrs. Adrian Babcock, Napanee; Mr. and Mrs. Reg. Dawson, Deseronto; Mr. and Mrs. E. McFadden, Barrie; Mr. and Mrs. Ralph Langdon and Mrs. Grant Heels of Toronto; Messrs. George and Wallace McKnight of Selby. TRUMPOUR – AT Adolphustown, 3d Jany., Almira Trumpour, aged 77 years, 10 months and 8 days. Died - At Hallowell, on the 20th instant, Deborah, relict of the late Capt. Paul Trumpour of Adolphustown, deceased, in the 69th year of her age, universally regretted by her friends and numerous acquaintance. Earl Trumpour - Deseronto - Earl Trumpour, 88, of 95 Mill street, who died recently at Belleville General Hospital following a short illness, was buried in Deseronto Cemetery. He was born at Adolphustown, a son of the late John Trumpour and his wife, the former Harriet Vandervoort, but had lived here for the past 20 years. Mr. Trumpour was the last member of his family. Surviving are several nieces and nephews: Mrs. Norman (Stella) Davis of Deseronto; Mrs. Morley (Bessie) Creighton; Mrs. James (Grace) Dorland, Mrs. Albert (Ruth) Wright, Harold and Frank Mallory, all of Kingston and Keith Mallory of Vancouver. Pallbearers were Jack Lapp, Thomas Doyle, Paul Davis, Alonza Thompson, John Widdis and Allen Mallory. Mrs. Luke Trumpour, an esteemed lady of Napanee, passed away on Monday evening, July 11th, in the Kingston General Hospital. She was ill only two weeks before being taken to the hospital, where she underwent an operation. It was only then that it became known that her condition was serious. Mrs. Trumpour was Edith, eldest daughter of Mr. Thomas and the late Mrs. Gurren, and was born at Sandhurst, Ont., in 1875. She lived in Adolphustown several years, moving to the River Road and later to Napanee about six years ago. She was a member of St. Mary Magdalene's Church and was keenly interested and active in its work, being specially devoted to the cause of the Woman's Auxiliary. She was also a valued member of the I.O.D.E. Besides her bereaved husband, she leaves two daughters, Marjorie, librarian, in Detroit, and Dorothy, at home; also her aged father, Mr. Thomas Gurren, two brothers, Thomas and George, and one sister, Mrs. Holden Robinson, all residing at Sandhurst. The funeral service was held on Wednesday, July 13th, from her late residence, Bridge St., to St. Mary Magdalene's Church. The service was conducted by Rev. J.H.H. Coleman, assisted by Rev. F.J. Dumbrille and Rev. A Strother. She was laid to rest in the family plot at Sandhurst, within sight of her old home. The many friends of Miss Gladys Trumpour were shocked to hear of her sudden death in a Toronto hospital on Saturday. About a week ago, Miss Trumpour went to Toronto to attend the funeral of her brother-in-law, and while there had a bad spell. Medical attention was secured and she was advised than an operation was necessary. The operation was performed on Wednesday and apparently successful, and the news on Saturday afternoon that she was dead cast a gloom over the town. Miss Trumpour was a former resident of Adolphustown and came to Napanee with her mother several years ago, and during her residence in Napanee, endeared herself to a very large circle of friends, especially among the younger people. Paul Trumpour, one of the oldest inhabitants of the township of Adolphustown, died at Hay Bay on Saturday, aged 80 years. He was born in Adolphustown, and spent all his long and active life in the vicinity of his birth. He was a successful farmer, an obliging neighbor and a thorough business man. He was never married. OBITUARY – Samuel Dorland Trumpour – Early Sunday morning last, All Saints’ Day, Samuel Dorland Trumpour, well known to the citizens of Napanee, was most peacefully called from his residence in Adolphustown to enter the fold of the church at rest. The funeral was held the following Tuesday at St. Alban’s Church, the Rector, Rev. W. Roberts, Mus. Doc., conducting the service. The deceased was born in Adolphustown being a descendant of the old Trumpour and Dorland families, which originally of Dutch extraction, lived in New York State until after the Revolutionary War, and then came to Canada among the pioneer U.E. Loyalists. Mr. Trumpour in earlier life lived in Prince Edward County, and was for fifteen years a resident of Napanee; the remainder of his life was spent in Adolphustown. He was a lifelong supporter of the conservative party, and is among a very few who can lay claim to the distinction of having gone to school with Sir John A Macdonald. In religion the deceased worshipped in the old Quaker meeting house, which still stands on the shores of Hay Bay, but on the breaking up of the Quakers as a distinct sect, he transferred his allegiance to the Church of England. Mr. Trumpour was of a retiring disposition; he never sought public office or publicity in any way. Industry was the keynote of his character, and by this means he amassed considerable property. He served in the Fenian Raids in 1866 and was among those of the surviving veterans who received medals in recognitions of their services. Until the last few years he had enjoyed the best of health, having seldom suffered a day of illness. In 1870, he married a daughter of the late Joseph Losee, who still survives him. He also leaves three children, Mrs. W. S. Wannamaker, of Ameliasburgh; Herbert a prosperous and progressive farmer in Adolphustown, and Harry, studying for the ministry at Wycliffe College, Toronto, and an honor graduate of the University of Toronto. Simeon Trumpour, Adolphustown died on Friday, 14th inst., aged seventy-six years. Deceased was a member of the first township council, and served his country in the rebellion of 1837. He was conservative in politics and a worthy descendant of U.E. Loyalist stock. Trumpour - At Adolphustown, on Thursday, June 25th, 1914, Thomas Nelson Trumpour, aged 46 years and 10 months. The sad death of Gertrude Truscott beloved daughter of Mr. and Mrs. Orlando Sutton, Strathcona, and wife of Bernard Truscott, occurred at Gravenhurst on May 26th, 1937. Mrs. Truscott was born at Strathcona on August 1st, 1911, the eldest child of Mr. and Mrs. Sutton. She attended school at Strathcona Public School and Newburgh High School. With her parents, she attended St. John’s Anglican Church in Newburgh. In 1930 she entered Kingston General Hospital, as nurse-in-training. She graduated in 1933 attaining her Registered Nurse degree. On January 12th, 1935, she became the wife of Bernard Truscott. They resided in Napanee where a daughter, Elizabeth Anne was born to them. Besides her sorrowing husband, parents and little daughter, she leaves to mourn her loss two sisters, Mrs. Harold McKeown and Miss Belle Sutton, and two brothers, John and William. The funeral was held from the home of her parents, Newburgh Rd., with the rector, Rev. R. W. Spencer officiating. The large gathering and many beautiful floral tributes showed the love and esteem which her friends had for Gertrude and the sympathy they had for the sorrowing family. Then a long procession followed to Camden East cemetery, where Mrs. Truscott was laid beside her sister, Betty, who predeceased her on December 15th, 1936. Those who carried her to her last resting place were Reginald Chapman, William Howitt, Herbert Knuth, William Toner, Hubert McGuire and Henry Luther. IN MEMORIAM - Sarah Dora Tuckett, died July 4th in her 85th year. She was formerly of Sandhurst, and was the widow of William Henry Crosby Tuckett. She had been living in a nursing home in Vancouver, B.C. she is the sister of Daniel Jay Hawley, of Picton. A memorial service was held at St. Paul's Church on August 4th. She had eleven grandchildren and sixteen great grandchildren. TUCKETT - At Altavista Hospital and Nursing Home in West Vancouver, B.C. on Wed. July 4,1979, Sarah Dora Tuckett aged 85 years, formerly of Sandhurst, Ontario. wife of the late William Henry Crosby Tuckett, sister of Daniel Jay Hawley of Picton, beloved mother of Ada, deceased, (Mrs. Herbert White), of Port Severn, Thora Tuckett of Bromley, England, Ruby (Mrs. Lothar Baum) of West Vancouver and Wren (Mrs. Doug Dyer) of Peterborough, dear grandmother of eleven grandchildren and sixteen great grandchildren. A memorial service will be held at St. Paul's Church Sandhurst on Saturday, August 4th at 1:30 p.m. The people of this community were shocked to hear of the sudden death of Mr. William Tuckett of 85 Gore Street, Kingston, a former resident of this district. For some time Mr. Tuckett had not been in the best of health, but this sudden death was a great shock to his friends. For a number of years he had farmed in this district and being a kindly and helpful neighbour, formed many lasting friendships. About five years ago they left the farm and went to live at Kingston. He is survived by his wife and four daughters, Ada, Thora, Ruby and Wren, all at home. The sympathy of the community is extended to them in their bereavement. TULLOCH, Archibald Donald - At the Lennox and Addington County General Hospital on Saturday, November 29, 1980, Archibald Donald Tulloch, formerly of Sillsville; husband of the late Flossie Irene Brown, dear father of Mrs. Clifford Frisken (Jean) Selby; Mrs. Harold Fralick (Marion) Morven; Harold Kingsford; Cameron, Morven; Mrs. Doug Walker (Nava) Selby; Mrs. Jim Harrigan (Betty) Napanee; dear grandfather of 15 grandchildren and 1 great-grandchild, dear brother of Mrs. R.L. Hicks (Maudie), Baldwinsville, New York; Mrs. A. E. Dunker (Agnes) Kitchener. Resting at the Wartman Funeral Home, Napanee. Funeral Service in the Chapel, Tuesday, December 2 at 1:30 p.m. Interment Riverview Cemetery. Friends desiring may contribute to the Cancer Society or charity of your choice. Visitation Monday 2-4 and 7-9 p.m.
Rev. Reuben E. Tupper was born in the county of Leeds, on the 12th of December, 1809. When about nine years of age he yielded to the Spirit’s pleading and was led to trust in Jesus Christ for salvation. Much of the cheerful Christian experience and loving fidelity of his later years may be traced to his early acceptance of Christ as his Saviour and consecration to his service. In 1836, in response to the Master’s call, he engaged in the work of the Christian ministry, but after one year of service he was compelled, on account of ill health to locate for three years. Returning to the work, after the usual probationary term he was received into full connexion and ordained at the Conference of 1843. Never possessing a vigorous constitution, he was obliged in 1855 to superannuate, in which relation he remained for seven years. Returning to the work in 1862, he spent about five years in faithful circuit service, followed by four or five years in charge of Mount Elgin Industrial School. He again superannuated in 1871. Three years more of rest, one of service at Mount Brydges, eleven of superannuation at London, and Bro. Tupper exchanged a changeful for the changeless life. On Sunday, March 7th, after a brief illness, he entered the rest that remaineth. As a man Bro. Tupper was respected and beloved. His quiet and often quaint demeanor, his kindly spirit and benevolent nature, won for him not only a very desirable place in private friendship, but also a large share of public esteem. As a minister, Brother Tupper was called and chosen and faithful. Though subject to much physical infirmity, sufficient to dishearten many yet such were his love and zeal for the work to which he was called, that he never hesitated regarding the call of duty, but did his work cheerfully and to the best of his ability. On the following Saturday he was taken ill, without any expectation of recovery on his part. The thought of speedy removal did not disturb his mind. His trust in Jesus was unshaken. He richly enjoyed the rest of faith, and rejoiced in strong assurance and hope of the rest of heaven. TURNER – In Glenora on Tuesday, July 25, 1905, Elsie Etta Dorland, wife of Mr. F. B. Turner, aged 35 years and 10 months. Hugh Turner Killed – A very shocking accident occurred at Martin and Sayers’ flouring mills, Glenora, on Tuesday morning. Hugh Turner was caught in a belt and whirled around a shaft to instant death. Turner was working in the mill on the ground floor and had been applying some belt dressing to a belt running on a pulley on the main shaft, which is about shoulder high. It is supposed his hand went too near the pulley and was drawn in. The unfortunate man was whirled around the shaft at a terrific speed, one belt breaking and winding his left arm tight to the pulley. He made one cry for help, but when Mr. Martin, who was not far from him arrived, and stopped the machinery, all was over. Turner was dead. The left arm was torn from the socket and almost severed from the body, both feet were mashed to a pulp unrecognizable as feet. There was no need of a doctor. Coroner Whiteman went down Wednesday morning and issued a burial certificate. The funeral took place (today) Thursday at 10 o’clock. T. Hugh Turner was a son of Mr. Thomas Turner of Black Creek, formerly of Picton, he was twenty-three years old and had been married twice. He got his first wife in Lennox County and for his second wife he married a Shaw of Picton, only about six weeks ago. He was a hard working, industrious man and he and his wife were just preparing to go keeping house at Glenora, where he expected to have steady employment. TWEDDELL – In Kingston, at his late residence, 287 Victoria, on Tuesday, Feb 16, 1943, James H. Tweddell, beloved husband of Ellen J. Graham, aged 68 years. Funeral will take place from the above residence on Thursday afternoon at 2:30 o’clock to Cataraqui Cemetery Friends and acquaintances respectfully invited to attend. JAMES TWEDDELL – James H. Tweddell, 68, died at his residence, 287 Victoria Street, today from a heart attack following a serious illness of three weeks. Five years ago he had suffered a heart attack but had not been seriously ill until recently. He was born in Kingston, the son of the late John Tweddell and his wife the late Catherine Hunter. He received his education at Kingston schools and had resided here all his life. For 36 years, he was on the staff of the Kingston Penitentiary and at the time of his retirement, five years ago, was chief industrial officer at this institution. He was a member of Sydenham Street United Church. Surviving him are his wife, formerly Ellen Jane Graham, three sons, Dr. John Tweddell of Kingston, Dr. Harry Tweddell of Blackstone, Mass., and Dr. Thomas Tweddell with the 14th Field Ambulance Corps., overseas; three daughters, Catherine and Dorothy of Kingston and Mrs. Thomas Findlay (Helen), of Ottawa; also three sisters, Annie and Sarah of Kingston and Jean of Montreal, one brother, Harry of Kingston, and three grandchildren. JAMES H. TWEDDELL – Funeral for the late James H. Tweddell was held from his residence, 287 Victoria Street, to Cataraqui Cemetery. Pall bearers were six officers of the Kingston Penitentiary, F. G. Davidson, T. N. Clarke, E. F. Fuller, J. D. Kennedy, H. A. Godwin and J. Gilby. Chief-keeper J. Atkins with 20 other members of the staff from the penitentiary attended. The service was conducted by Rev. W. T,. G. Brown. The large attendance and numerous floral tributes gave evidence of the esteem in which the deceased was held. Jared Tyler, Fredericksburgh, buried 16 Dec 1808. Died – UNGER – At North Fredericksburgh on Monday, Sept 7, 1891, Ida Hellen Unger aged 26 years, 6 months. Died - At the residence of his father, Nelson Unger, North Fredericksburgh, on Tuesday 24th inst., Jerry Burton Unger, aged 13 years, 6 months, 6 days. UNGAR - At North Fredericksburgh on Friday, February 11th, 1921, John Ungar, aged 74 years, 5 months. Daniel Unger, who in pre-union days, was an ordained deacon in the Methodist Episcopal Church, shortly after his marriage settled in South Fredericksburgh, on the farm which has since become the Unger homestead. There was born on Sept. 13th, 1846, a son, who was baptized John Wesley. He had four brothers and three sisters. As a young man he, having the ministry in view, studied for some time in Albert College. On account of ill health he had to abandon that calling. He was a life long member of Grace Methodist Church, of which church he was one of the oldest trustees and remained an official until his death. His mind was well stored with the Holy Scriptures, and many will not soon forget his recitations of long passages in the Quarterly Fellowship meetings. During the past year Time’s grim reaper has been very active in the Unger family. Only about a year ago Nathan was called to go, about a month ago, Nelson followed, and on Feb. 11th, John was summoned to meet his two brothers on the other shore. His wife and two daughters, Ethel and Lilly, predeceased him many years. He leaves to mourn his loss three sons, Schuyler in the West, Edison in Montreal, Gerald on the homestead; and two daughters, Mrs. Vaughn, of Ottawa, and Miss Ella, of Fall River, Mass. A good citizen, a kind father and a Christian gentleman has left us. His funeral, in charge of his Pastor, Rev. W. P. Rogers, took place on Sunday, the 13th, in Grace Church. the remains were placed in the Riverview vault. In North Fredericksburgh, on 10th May, Laura Bella, daughter of Wm. Unger, aged 4 years. On Friday night quite a commotion was created by the announcement of the death of Miss Annie Urquhart. Deceased had been in poor health for some months and had grown despondent and had been noticed and remarked to be acting strangely at times, so much so that she had been under partial surveillance. At a time unnoticed, when she was supposed to have gone to her room, to retire for the night, she gave the other members of the family (her mother and brother with whom she resided) the slip, and got out into the darkness and jumped into a deep well, convenient to the house. Her absence was almost immediately noticed, the alarm given and search made, with the result, that after a careful search of the premises in the darkness, her body was discovered in the well in which there was over six feet of water. The deceased was forty years of age. The funeral took place at the Lutheran church at 2.30 p.m., Sunday, service being conducted by Rev. W.W. Peck, M.A., of Napanee, assisted by Rev. W.T. Wickett, Morven. Died - In North Fredericksburgh, on Sunday, Feb 10th, Donald Urquhart, father of Mr. Archibald Urquhart, of Kingston, aged 78 years and 1 month. At Allisonville on the morning of April 25, 1924, there passed away in the better land, Mr. Willet Valleau. He was one of Prince Edward county’s oldest citizens, and was almost 90 years of age. He was born in the Burr neighborhood, in Hillier, in September, 1834. He was the son of Peter and Martha Potter Valleau, and the grandson of Cornelius and Ann Rowe Valleau, and the great grandson of Lieut. Peter Valleau, who left New York city September 8, 1783, and who landed on the shores of Adolphustown, June 16, 1784. On both sides of the family tree, all of his great-grandparents were among that now famous band of United Empire Loyalists whose names are immortalized in Canadian history. As time passed hoary years rested gently on his trembling frame and playfully crowned his brow with roseate hue, like the lingering rays of the setting sun. But few of all those who begin life here in mortality’s vale succeed in reaching so great an age. Rarely do we find one whose career is measured off by four score years and ten. His wife, who was Miss Edith Snider, daughter of George Snider, one of the old pioneers of Massassaga Point, predeceased him about four years ago. Since then he has oftimes been lonely, and with eyes bedimmed with age, he has been standing, leaning on his staff like pious Jacob of old, and looking across death’s narrow stream beyond the tide. Tired, weary, careworn, he stood peering through the lattice, anxiously awaiting the summons - the echo of the harvest call. Of a family of seven sons and three daughters only one is left, Mrs. W. K. Burr of Lockport, Illinois. In politics Mr. Valleau was a Liberal; in religion, a Methodist. In the year 1860, during a revival meeting at Crofton, conducted by the Rev. Hiram Williams of the M. E. Church, he and his wife were converted. And for many years he was a member of the official board, and a leading member of the church. He was naturally kind hearted, genial, gently and obliging. His home was a home for he preachers, and they were always generously entertained and received a most cordial welcome and Christian greeting. He was a remarkably kind husband, a good parent and an obliging neighbor. He had a family of two sons and two daughters. They are all living and were in attendance at the funeral; Mr. Stanley E. Valleau of Toronto, Mrs. Robert Hazzard of Bloomfield, Mrs. Samuel Rankin of Salmon Point, and Mr. Grant Valleau of Allisonville with whom Mr. Valleau resided at the time of his death. The funeral was held at the Burr church and was very largely attended. The gallery and aisles, as well as the body of the church, were all occupied. The Rev. Gardnier of the Melville circuit officiated. His theme was: “Precious in the sight of the Lord is the death of His saints.” His address was appropriate and was listened to with marked attention. Mr. Densmore Ainsworth and son, of Wellington, were the funeral directors. Interment was made in the Burr cemetery. Truly, precious in the sight of the Lord is the death of His saints. The death last week of Mr. Willet Valleau, at the home of his son, Mr. Grant Valleau, removes one of the oldest and most highly respected residents of Hillier township. He was a man of industry, honesty and integrity - a type of the sturdy, God-fearing men, whose lives have enriched the rural communities. The deceased, who was ill but a few days, was in his ninetieth year. He was a member of the Methodist church. Surviving are two daughters, Mrs. Rankin and Mrs. Hazard of Bloomfield, and two sons, Stanley of Toronto, and Grant on the homestead. The funeral, which was largely attended, was held on Sunday afternoon from his late residence to Burr’s church, where Rev. G. W. Gardner spoke from the text, Psalm 116-15, “Precious in the sight of the Lord is the death of his saints.” the choir, with Mrs. Hogle as accompanist, contributed a beautiful selection. Interment was made in Burr’s cemetery, the bearers being, Messrs. Charles McFaul, Lewis McFaul, Bruce McFaul, Merritt McFaul, Spencer Huffman and George Ferguson. Sad Occurrence - A very melancholy affair occurred last night at Selby. A child of Mr. William Valleyan, between 6 and 7 years of age, was sick with croup, and the doctor had prescribed steaming. This was done by dropping a hot iron into a tub of water and holding the child, wrapped in a blanket, over a tub. The little sufferer begged his mother not to hold him over the steam, as he would be scalded, and she endeavored to quiet his fears, but he said he knew he would be scalded. The little fellow's fears were but too well founded - the iron was too hot, and the child was scalded so badly that he died shortly after. the mother was frantic with grief, and it was feared for some days that her reason was permanently gone; but we are pleased to learn she is improving. Obituary - B.S. Vanalstine - Ill only a few hours after suffering a heart attack, Mr. Benjamin Stafford Vanalstine passed away at his home in Clarksville, on Saturday, April 25th. Although in his 86th year, Mr. Vanalstine had been remarkably active and the day before his death had spent considerable time fishing in the Napanee River. Shortly after breakfast, on Saturday he was taken ill and died before noon. Mr. Vanalstine, who was a son of the late Mr. and Mrs. Garratt Vanalstine, was born on the Palace Road and had lived in Clarksville nearly all his life. For many years he worked at the Gibbard Furniture factory and was employed for a few years at the Garratt Joy Cement Tile plant. He had been retired from active work for some years and since the death of this wife, about nine years ago, his son, Milton Vanalstine and family, had lived with him. He is survived by nine children, five daughters and four sons. The daughters are Winnie (Mrs. James Vankoughnet), Napanee; Myrtle (Mrs. Hoag, Rochester, N.Y.); Laura (Mrs. Leo Peterseims), Chicago; Marion (Mrs. Kensey) Rochester; and Ruby (Mrs. Stanley Ballance) Napanee. The sons are Ernest, Whitby; Harry and Milton, Napanee; and Herman, in Rochester. His funeral was conducted by Rev. C.D. McLellan, at Grace United Ch. on Monday April 27th and interment followed in Riverview Cemetery. DEATH'S HARVEST - Mrs. Elliott VanAlstine -- Passed peacefully away to rest last Monday morning, after an illness of but a few weeks, cut off in the first flush of womanhood. Deceased was married to her bereaved husband about four years ago, coming to Napanee as a bride. She proved herself a model wife, and gained the respect and esteem of all who had the pleasure of her acquaintance. She bore her trying illness with Christian fortitude, and died surrounded by her husband and friends. Deceased was a daughter of Mr. David Young, of Sillsville. Mrs. VanAlstine was an active member of the Ladies Aid of the Presbyterian church, and will be greatly missed by the members of the Society. The funeral services were conducted by her pastor, Rev. W.W. Peck and were largely attended, the members of Napanee Lodge I.O.O.F. of which Mr. VanAlstine is a member, attending in a body. The handsome casket was covered with wreaths and flowers, the last thoughtful tokens from loving and admiring friends. The sympathy of the whole community goes out to Mr. VanAlstine and the bereaved friends in this their hour of trial. It is our sad duty today to report the death of Mrs. Elliot Vanalstine, which occurred yesterday evening at five o'clock, after an illness of over five weeks. Deceased, whose maiden name was Ella Young, eldest daughter of David Young of Sillsville, was in her 25th year, and had been married only about four years. The sorrowing husband, father, mother and relatives have the heartfelt sympathy of all. About six weeks ago, Mrs. Vanalstine was taken ill with an attack of grippe, which could not be arrested although the best medical aid both in Napanee and Kingston was employed. For a time it was hoped that the disease was overcome but Mrs. Vanalstine grew weaker each day and being unable to take any solid food for over five weeks she became so weakened that the disease proved fatal. The funeral will be announced later. VANALSTINE - In North Fredericksburgh, May 24th, Frederick E., son of Jacob V. Vanalstine aged 23 years. On Sunday last, Hattie A. Vanalstine, aged 42 years, died at her brother-in-law's in Picton from phthisis. This lady was a daughter of the late Allan Vanalstine, of Picton, and was the only living relative of Major Vanalstine, who bore the family name. Major Vanalstine was the original founder of the Adolphustown settlement. In North Fredericksburgh on Friday 20th Sept, Herman, son of James VanAlstine, aged 14 years and 4 months. VanAlstine - On Sunday, 22d Sept, the infant daughter of Mr. Willet VanAlstine of North Fredericksburgh. Sudden Death - On Sunday last Mr. James Vanalstine, one of Lennox's oldest settlers, died very suddenly at his residence in North Fredericksburgh. At North Fredericksburgh, on February 7th, James Vanalstine, aged sixty seven years. Van Alstine - At North Fredericksburgh on Tuesday February 7, 1899, James VanAlstine, aged 67 years and 5 months. VanALSTINE - At North Fredericksburgh, on Saturday May 21st , 1932, Sarah VanAlstine, aged 75 years, 7 months, and 8 days. Wesley VanAlstine - On Wednesday, March 28th, 1923, Wesley VanAlstine passed from his earthly to his heavenly home, in the 77th year of his age. He was born in North Fredericksburgh, on May 25th, 1846. He was the oldest son of Joseph VanAlstine, and later moved with his parents to Richmond. On January 26th, 1871, he was married to Margaret McMullen, of Richmond. He lived on the farm until twenty years ago, when he moved into town, where he died, death resulting from a stroke. He was a member of Grace Methodist Church, and is survived by his widow and one daughter, Emma, at home, and one son, Charles W. VanAlstine, on the homestead; one daughter, Mrs. J.F. Vankoughnet, having preceded him but a few months. VANALSTINE - In North Fredericksburgh, on 16th May, William Vanalstine, aged 75 years. Another landmark and descendant of the U.E. loyalists, passed away on Sunday in Wm. Vanalstine, North Fredericksburgh, aged seventy-five years. He was born and lived on the same farm. His wife, Hannah Treadway, died seven years ago. Deceased was one of a family of six brothers and three sisters. He leaves a family of six children, two boys and four girls. Deceased was a consistent member of the Methodist church. beloved wife of C.W. Vance and daughter of Mr. and Mrs. Vandorne Marvin, passed away at her father's home, North Fredericksburgh, on Sunday morning last at the early age of 24 years and 10 months. Deceased had been ailing for some months past of that dread disease consumption. She was married to our former townsman, Mr. C.W. Vance, in 1896 and moved to Watertown in the same year. In 1898 they moved to Sandy Creek, N.Y., where Mr. Vance secured a situation as foreman in a printing office. During their stay in Sandy Creek, Mrs. Vance contracted a cold, consumption finally setting in. In June, 1901, deceased was removed to Watertown for treatment, but was advised by her physician to come home, which she did, accompanied by her husband, on July 9th. During their stay at her father's home she gradually sank until death relieved her on Sunday morning. The funeral was held on Monday at 2 p.m., and was largely attended. Rev. Farnsworth, of the Bay circuit, preached a very impressive sermon, referring very feelingly to the beautiful character and life of the departed. Besides her husband she leaves three children, a girl 4 years old and a boy and a girl (twins), 2 years old, father and mother and one sister, Mrs. Chauncey Hicks, Marlbank. The bereaved relatives have the sympathy of a large circle of friends in their sad loss. The remains were interred in the Eastern cemetery. The pall-bearers were Messrs. F.J. Vanalstine, Jos. Powell, Albert B. Root, E.J. Pollard, Harry Vanalstine and Geo. Grass, former associates of Mr. Vance in the printing business in Napanee. VANDERHYDEN, Mrs. Ann, nee Kemp, was born in Fredericksburgh Aug 26 1790, and lost her parents when she was quite young. On Sept 30, 1806, she married Peter Vanderhyden. A few years later they moved to Ameliasburgh, where she died Jan 4 1851, survived by her husband. VANDERVOORT - At Napanee, on Sunday, April 15th, 1923, Mary E. Watts, beloved wife of Mr. C. W. Vandervoort, aged 53 years and 11 months. Mr. David Vandewater passed away last Friday morning, 23d June, after a lingering illness of several years, aged sixty-five years. Deceased was a native of South Fredericksburgh, where for years he was an influential farmer and removed to Napanee some years ago. He was a man of indomitable will, and although he had undergone several painful operations, and suffered dreadfully, he never gave up and whenever possible was about town. Deceased was a member of the Methodist church, and at one time a local preacher. He was a keen politician and of the conservative persuasion. A widow and two sons and two daughters survive. They are Ira D. Vandewater, Verona; George, Bellevue, Ohio; Mrs. H. Martin, Napanee, and Mrs. W. A. McDonald, Calgary, Alta. VANDEWATER - At North Fredericksburgh, on Tuesday, June 27, 1939, Mrs. Alvin Vandewater. Funeral at 10 a.m. (Standard Time) Thursday. Mrs. Alvin Vandewater died early Tuesday morning at her home, Palace Road, about two miles east, of Napanee, after a short illness resulting from a stroke of apoplexy a few days ago. The late Mrs. Vandewater, who was well known in Napanee and the district, was formerly Minetta May Loyst, a daughter of the late Mr. and Mrs. Wm. Loyst, of Hay Bay, where she was born about 73 years ago. Fifty years ago last October she married Alvin Vandewater and for ten years they lived at Hay Bay. Forty years ago they moved to the farm on the Palace Road, where they had successfully carried on a market garden business. Mr. and Mrs. Vandewater were members for many years of Trinity United Church, which they attended regularly so long as health permitted. Mrs. Vandewater is survived by her husband, one son, Glynn, of Toronto, an adopted daughter, Miss Agnes Loyst of Kirkland Lake, and one brother, Mr. W. E. Loyst, of Toronto. the funeral will be held at her late residence on Thursday morning at 10 o’clock Standard Time, and will be conducted by Rev. Harold E. Wellwood, minister of Trinity Church. Interment will be made at Riverside cemetery. In South Fredericksburg, on Feb. 26th Francis Vandewaters, aged 70 years. The Christian Guardian last week contained the following: - "Just as we are going to press we receive the following note from the Rev. W.H. Laird: The Rev. Conrad Vandusen passed away peacefully on the evening of yesterday. He had been in very feeble health for some months - expectantly waiting for his release. Our venerable friend hailed his hour of departure with delight." The deceased was well known throughout the whole country. He was one of the oldest ministers of the Methodist Church of Canada, and was born in the Township of Adolphustown, not many years after its first settlement by U.E. Loyalists. His father kept the first public house between Kingston and York, and when converted deliberately cut down his sign with an axe and banished liquor from the premises. The subject of this brief notice had been superannuated for several years, and resided at Whitby. VanDyck, Anna T. - At the Kingston General Hospital, on Thursday, October 25, 1962, Anna T. VanDyck, Conway, wife of the late Franklin Henry VanDyck and dear mother of Grace, home; Ross, Conway and Mrs. Walter Sills (Clare), Napanee, in her 94th year. Rested at her late residence for funeral service on Saturday, October 27 at 2 p.m. Mr. G. Potter officiated. Interment Sandhurst Cemetery. At Conway, Ont., on Thursday Jan 4th , 1912, Henry VanDyck, aged 87 years. Vanest - At Morven on the 20th inst., Mr. John Vanest aged 97 years. He was one of the veterans of 1812 who received his pension at Napanee last autumn. On Friday, the 20th inst., George, second son of Mr. Peter VanKaughnet, of Fredericksburgh, aged 16. On the 23d inst., at an advanced age, Mrs. Jane VanKaughnet, wife of Mr. Wm. VanKaughnet, of Fredericksburgh. On Friday the 20th instant, George, second son of Mr. Peter VanKoughnett, of Fredericksburgh aged 16. On the 23rd instant, at an advanced age, Mrs. Jane VanKoughnett, wife of Mr. VanKoughnett of Fredericksburgh. Lately in Fredericksburgh, William VanKoughnet, aged 74 years. VANLUVEN - At Napanee, on Tuesday, May 2nd, 1922, Annie B. Yeomans, beloved wife of Mr. A. O. Vanluven, aged 60 years, 1 month and 9 days. The Late Cornelius Van Luven Esq. We regret to have to announce the death of Cornelius Van Luven, Esq., which took place on Dec. 27th. He passed quietly away after a short illness, at the family homestead, Murvale. He was born in the year 1800, and his age at the time of his death was 82 years and a few months. He was one of a long-lived family. One brother died on Thanksgiving day, aged 85 years; another brother lives at Battersea, aged 88 years; there are also two aged sisters living. The family came from near Albany, N.Y. His grandfather was one of the first settlers near Bath in the township of Ernesttown, long before the Revolutionary war. Cornelius, when a young man, was in the employ of John G. Cartwright, Esq., by whom he was much respected and trusted. Mr. Cartwright was desirous that Young Van Luven should take charge of his outside business which was very large, but he was more inclined to be independent and at the age of 28 years he purchased from J. S. Cartwright, Esq., the farm and homestead where he had resided for over 54 years. In 1824 he married Sarah Amey, a descendant of an U.E. Loyalist family that came from Little Falls, N.Y., at the time of the Revolutionary war. Her grandfather and a neighbor went one day to the woods to chop, but not returning search was made and their bodies were found mutilated and scalped by Indians. The family then sought refuge in Canada under the British flag. Mrs. VanLuven is 78 years of age and feels keenly the separation from her husband. They had a family of ten children - one dead and nine living, seven of whom were boys and two girls, all married and occupying respectable positions. They are: G. W. VanLuven, Brockville, who has one daughter; Zara Van Luven, merchant and postmaster, Moscow, who has one son a gaoler at Napanee, another a clerk in Hinch & Scott’s and two others at home; Peter Van Luven, Esq., retired farmer, Moscow, who is a director of the N. T. & Q. Railway and a J.P.; Alpheus VanLuven, manufacturer, Yarker, and President of the Branch Reform Association. The latter is married to a daughter of the late Samuel Scott, another old U.E. family; their son assists the father in his business and the daughter is married to Mr. John Ewart, woollen manufacturer, and an ingenious mechanic and taxidermist, whose studio is full of rare specimens of art which are worthy of inspection. Michael VanLuven, Sydenham, harness-maker and independent; Jane Van Luven married Mr Geo. Robinson, paper maker, Newburgh; Thos. Van Luven, Esq., county Treasurer, Frontenac, is another son; John B. Van Luven, another son, resides on the homestead and works the farm.’; Emily Van Luven married Mr. George McKay, Brockville, conductor G.T.R. and has one child. Cornelius Van Luven’s course through life was characterized by straightforwardness, integrity and perseverance, which gave him a position of esteem in the hearts of all who became acquainted with him. In early life he joined the Wesleyan Methodist Church and for over fifty years was a constant attendant in the house of God and for a long time a class leader and always active for the interests of the church. He was genial and unobtrusive and no cause which he considered right ever appealed to him in vain. He was a constant advocate of temperance principles; always opposed to the liquor business in every shape and form. In politics he was a Reformer from principle. Early in life he identified himself with that noble band of patriots that stood out firmly against the tyranny of the family compact. He never wavered in his allegiance to Liberal principles and he had the satisfaction to see tyranny in church and state overthrown and responsible government established. Within his lifetime Canada has advanced from one province to a Dominion of seven, extending from the Atlantic to the Pacific Oceans. His long life includes parts of the reigns of four British Sovereigns. He was a lad of five when Trafalgar was fought, in his teen when Wellington overthrew Napoleon at Waterloo. When a lad 12 years old he drove his brother to Kingston to join his regiment to take part in the war of 1812 and he was attracted by the music to join as a drummer boy, but he had to take the horses home and take care of the old folks, his mother anxiously awaiting his return. In the rebellion of 1837-38 he was one who went to Kingston and took up arms against the rebels, giving the lie to those who now-a-days look upon the Reformers of that day as rebels, for no more loyal set of men ever lived than the Reformers of ’37 and ’38, and among them Cornelius Van Luven was one who stood in the front to defend the rights of the Crown and the Freedom of the people. What a lot of wonderful events have occurred since this old veteran came into the world at the commencement of the present century? In his time railways, steamboats, steam printing presses, matches, telegraphing, telephone, and a multitude of other improvements in agriculture came into use. He leaves behind him an example worthy of imitation and a name that his children may be proud of. His life should be an example to those who have wandered away from their first principles and are now unrespected even by those who they have joined. Let them return, and thus like our departed friend, leave behind them an honoured name which is better than great riches. A former well-known resident of Napanee passed away in Kingston General Hospital on January 1st. Mr. VanLuven was for many years one of the firm of VanLuven Bros., Moscow. Coming from Moscow to Napanee, he carried on the business of VanLuven Bros. Here for a number of years, afterwards removing to Kingston, where he retired from active business. For the past two years Mr. VanLuven was a patient in the Kingston General Hospital. Besides his widow, he leaves one son, Mr. Ronald VanLuven, of VanLuven Bros., Kingston. His life-long partner, Mr. Everton VanLuven also survives. Jinney Catharinah, dau of Philip and Angelica VanNess, Fredericksburgh, buried 14 May 1808. At Hawley, on Wednesday, May 15, 1957, there passed away quietly into rest, the late Edna Annabella Magee, beloved wife of Floyd Vannest, after a long illness. She was born at Sillsville, South Fredericksburgh, daughter of the late John Magee and his wife Margaret Elizabeth Lawson Magee. She was united in marriage at Trinity United Church, Napanee, on July 22, 1924 to Floyd Vannest, of Enterprise, by Rev. Harold Neal, of the Adolphustown circuit. She leaves to mourn her loss her husband and two daughters, Miss Margaret Vannest, of Port Credit, and Mrs. Allender Breckenridge (Muriel), of Don Mills. She is survived by one brother, R.J. Magee, of Sandhurst, and five sisters; Mrs. H.M. Hough, Sillsville; Mrs. F.B. Wright, Conway; Mrs. W.R. Henwood, Sandhurst, and Miss Hattie Magee and Miss Margaret Magee, both of Kingston. The funeral services were conducted on Friday, May 17, at her late residence, by Rev. C.D. McLellan, of Grace United Church, Napanee, with interment in Riverview Cemetery. The bearers were her six nephews; Douglas Magee, Robert Magee, Donald Hough, Roger Henwood, Grant Henwood and John Wright. The flower-bearers were Douglas Thomlison, Ralph Thompson, Grant Huyck, James Lowry, Hugh Sharpe and Howard Huff. She was a faithful member of Grace United Church, Napanee, where she took an active part in the Sunday School work for many years, and was a life member of the Woman's Association. She was also a member of the Maple Leaf Women's Institute. VANNEST, Floyd, Passed away at Central Park Lodge in Toronto on July 22 1994, in his 99th year after a lengthly illness. Predeceased by his first wife Edna Magee and survived by his second wife Helen. Beloved father of Margaret of Mississauga and Muriel Breckenridge and her husband Allender of Scarborough and uncle of Arnold of Milton. Loved stepfather of Paul Lucas of Barrie and Frank Lucas and wife Joan of Peterborough. Devoted grandfather of Margaret and John and great-grandfather of Sarah. Fondly remembered by his two brothers Arthur of St. Catharines and Clarence of Toronto as well as many relatives in the Toronto and Napanee areas. Born in 1896, in Moscow Ontario, he served overseas in the First World War. He lived in the Enterprise and Napanee areas until 1957 when his first wife died. He then spent the rest of his life in Mississauga enjoying excellent health until the last few months. A private family service was held on July 25 1994 followed by cremation and burial in Riverside Cemetery in Napanee, Ontario. A Memorial Service will be held at First United Church in Mississauga on Saturday, September 10 1994 at 11 a.m. From friends who wish, an in memoriam contribution to the charity of your choice would be appreciated. In Memoriam - Wm. Vannest, died August 28th, 1916, aged 80 years, 6 months. DIED At Adolphustown, on the 26th day of April last, Mrs. Elizabeth Vanorder, in the 85th year of her age. Henry VanVlack - Henry VanVlack died at his residence Lake Street, Picton, on Saturday, 29th October. Mr. VanVlack had been ailing with rheumatism for the past three years. He had been confined to his house about four weeks and Bright’s Disease was the cause of death. He was a patient and resigned sufferer. He was born at Waupoos, the son of the late Elias VanVlack and Sarah Johnson. He was aged 74 years. He was a prosperous farmer and fruit grower, having on his Waupoos farm as good an orchard of its size as the county boasts. Mr. VanVlack was held in the highest esteem of a host of friends. Some five years ago he retired from farming and moved to Picton. His widow, whose maiden name was Sarah Hurlbut, and two daughters survive, besides a brother, George. The daughters are Mrs. Stanley Palen, of Waupoos and Miss Lillian at home. The funeral was held on Tuesday and was largely attended by Picton and Waupoos friends. Rev. Mr. Seaborn, of Milford, his former pastor, officiated, assisted by Rev. V. H. Emory of Picton. Interment in Glenwood cemetery. Many beautiful floral designs were laid on the casket by loving friends. Pte. M. C. VanVlack – Another Waupoos boy has answered the last call. Taps has been sounded and the spirit of patriotism which frilled the mind and body of our young patriot has been answered and leaves behind sorrowing relatives and many friends. Pt. M. C. VanVlack was the son of George VanVlack and grandson of Colonel Elias VanVlack, U.E. Loyalist. “Mac” as he was familiarly known, enlisted over a year ago and has been doing his duty in the Army Service Corps, England. He died in a hospital at Carlisle on June 31st. Memorial service will be held on Sunday afternoon in St. John’s Church. The sympathy of one and all is extended to the family. Attended Funeral – A considerable number from town and the adjoining district attended the funeral of the late Sandy Van Volkenburg, which was held from his late residence, west of Napanee, on Tuesday afternoon. The home was filled with sympathizing friends, as the deceased was well known both in Napanee and Deseronto. The service was conducted by Rev. R. T. Richards, of Grace Church, Napanee. The late Mr. VanVolkenburg was a resident of this town for many years, and engaged in market gardening. Retiring from active duties, he and Mrs. Van Volkenburg left for Napanee, and the former erected a smart bungalow just outside the town limits of the neighboring town. His illness had not been of long duration. He was held in the highest of respect by his many friends in Deseronto. Death came with startling suddenness to one of Napanee’s best known and highly respected residents in the person of Mr. John Vine, who passed away very shortly after the midnight hour on Monday morning. Although Mr. Vine had not been in the best of health for some time, he was around as usual, and on Sunday morning, after partaking of a hearty breakfast, took very ill and all day Sunday his condition was very serious, in fact so much so that word was sent to his daughter, Mrs. Treleaven, in Toronto, to come to Napanee at once. Death was due to heart trouble, of which he had been a sufferer for some time. Mr. Vine was one of seven children, and he was the last surviving member of the family. His parents were Mr. and Mrs. Edward Vine, and he was born and always resided in Napanee. He was 82 years of age and was one of the oldest members of Argyll Lodge No. 212, l.O.O.F. He loved Oddfellowship, and until a few years ago was a regular attendant at the lodge session. He was also a lifelong member of Trinity Church. His passing came as a great shock to his many friends in Napanee and district. Surviving are his widow, who before her marriage was Miss Fairbairn, three sons, A. G. Vine and George Vine, of Winnipeg; John Vine, of Watertown and four daughters, Mrs. W. B. Sills, and Mrs. Edwin Miller, Napanee; Mrs. Treleaven, of Toronto, and Miss Laura Vine, Reg. N., of New York City. His son, A. G. Vine, of Winnipeg, spent a few days last week in town with his parents and had just recently returned to the west.